One of the biggest challenges I have when traveling to a new destination is packing appropriately for daytime exploring. For better or worse, I'm not big on thinking in terms of being comfortable. For instance, I will only wear workout clothes and sneakers if I am truly working out, so that rules that look out! 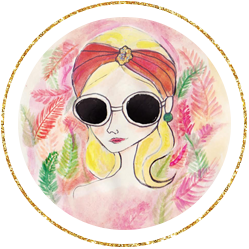 Another good way to add chic to a comfortable outfit is through your accessories; for me, that's a headscarf, oversized sunglasses, big jewelry, and a red glossy lip. You don't have to sacrifice fashion when being a tourist; you just need to think outside of the shoe box!